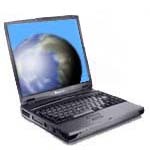 Internet Radio and TV News - Listen to online radio news and information and practice your language! If you would like to submit an internet radio or tv station to include in these pages, just use our Internet Radio and TV Entry Form to send the information on your radio or tv shows. Note: Our listing format requires a direct link to the media streams of your shows.